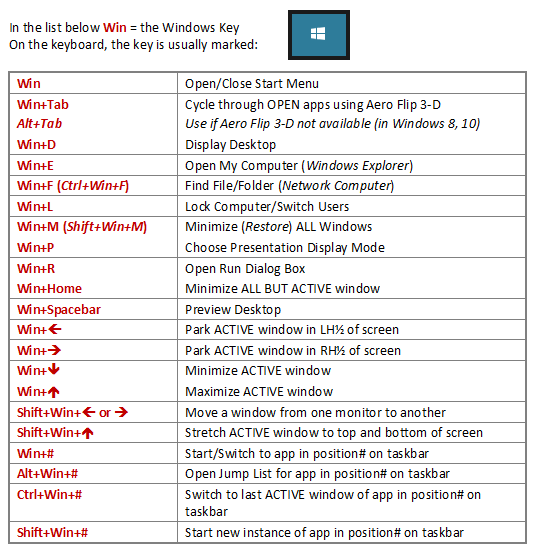 In Windows 7, using the Windows key while repeatedly pressing the Tab key displays the Aero Flip 3-D view of open application windows stacking up mid-screen – let go when you reach the one you need! Mind you, the less spectacular Alt+Tab to cycle through windows has always worked since Windows 3.1! And of course, if you are not excited by either you can continue to use the Taskbar icons. Press Windows key+D to show the desktop. Activate the second application and press Windows key+Right Arrow key to park this one on the Right! 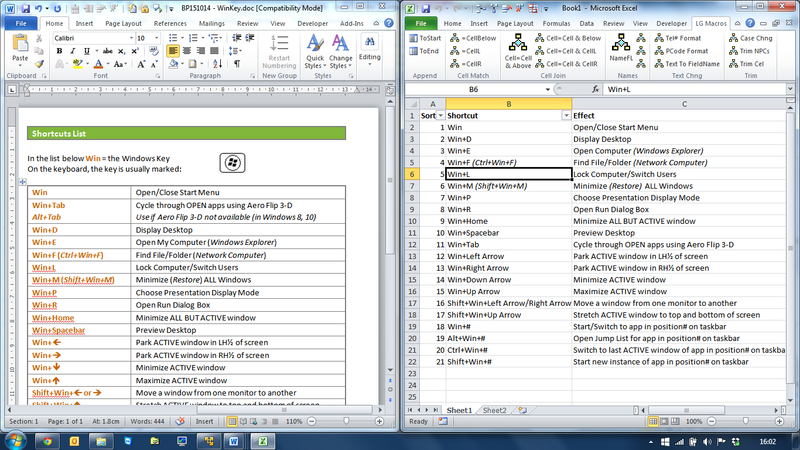 The screen shot shows Word and Excel side by side. There are many more and I have put them in the list below. Give them a try! That’s it for now. Don’t get too addicted with the Windows key will you? I would love to hear your reaction to this.